Why to Invest in Lanzarote ? 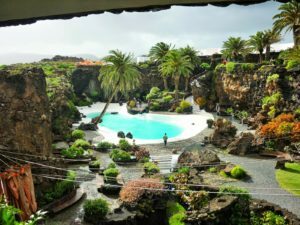 Lanzarote, a unique place to discover before you choose to live there. 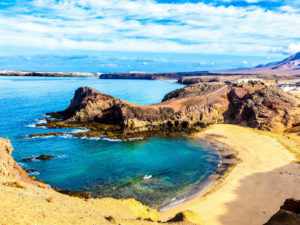 The island of Lanzarote, bright and wild, spectacular and incredibly unspoiled, the easternmost point of the Canaries remains one of the Islands best kept secrets. The island of eternal spring offers a journey to the center of a land of fire, on a territory covering 845 km2. Beaten by the waves and winds of the Atlantic, 140 kilometers from the African coast and 1000 kilometers from Spain. Lanzarote is covered by a third of lava and volcanoes: more than 300 craters upset a landscape evoking the imagery of the end of the world or the first days of humanity. Depending on the time of day and the light, Lanzarote is perpetually enriched by the race of the clouds and able to fire all the elements which forge its unique identity. The architect César Manrique, the most famous of his benefactors, spoke of it as a “work of art without frame and without limits”. Lanzarote is also synonymous with “knowing how to live well”: Lanzarote has always valued a generous cuisine, made of fresh, raw and mostly organic products. Each market town has its morning market, which offers fresh fish assortments caught on the coast, chicken, cheese and many fruits and vegetables. White sandy beaches encompass the most popular resorts of the island, while wild creeks border the foaming sea and black sand fields and the rolling dunes of Lanzarotes 85 beaches cultivate the art of paradox: there is prevarication between the bitterness of the setting, harshness of the elements and the sweetness of life. In Papagayo Beach, you can feel a bit of the hippie atmosphere that reigned in the 1970s. In Caleta de Famara, a small gathering place and weekend destination for the inhabitants of the capital, we can admire surfers attacking the powerful waves in an atmosphere remincissent of the end of the world. In the north of the island of Lanzarote, in Orzola, a boat sometimes a little heckled by the elements takes you to taste the sublime expanses of the very Cuban Isla de La Graciosa. it is a tiny atoll out of the sea,unbound from north to south by five volcanic peaks juxtaposed by the sky and sea.